Can you all tell I’ve been having a complete blast making Christmas projects lately! It seems everywhere I turn there is another idea for a new project – must be the Christmas sparkles inspiring me. 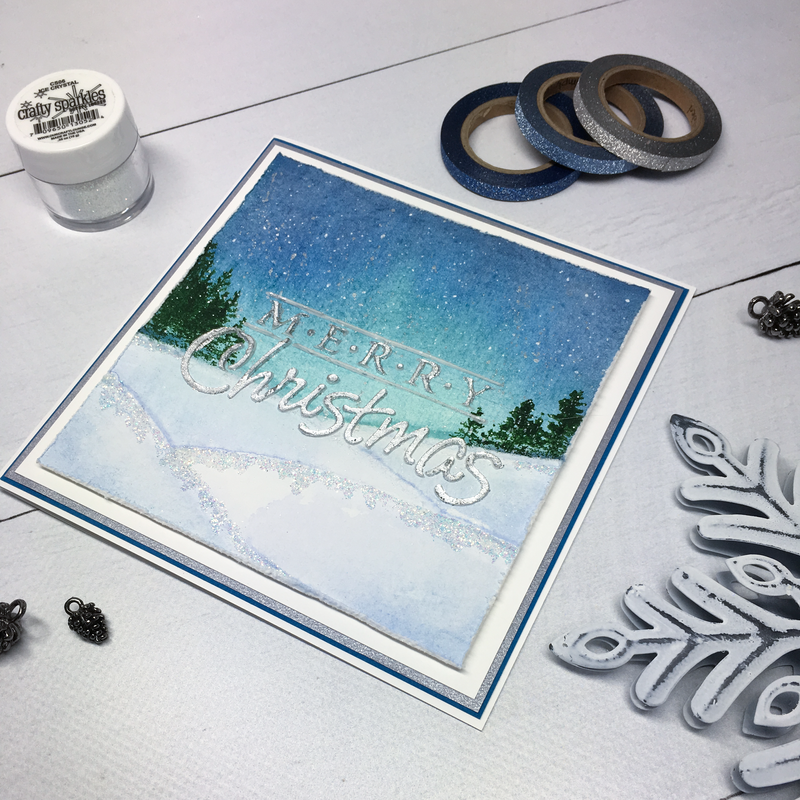 Today I’ve created a simple Christmas card with a water coloured background, a little stamping and a foiled Christmas sentiment. 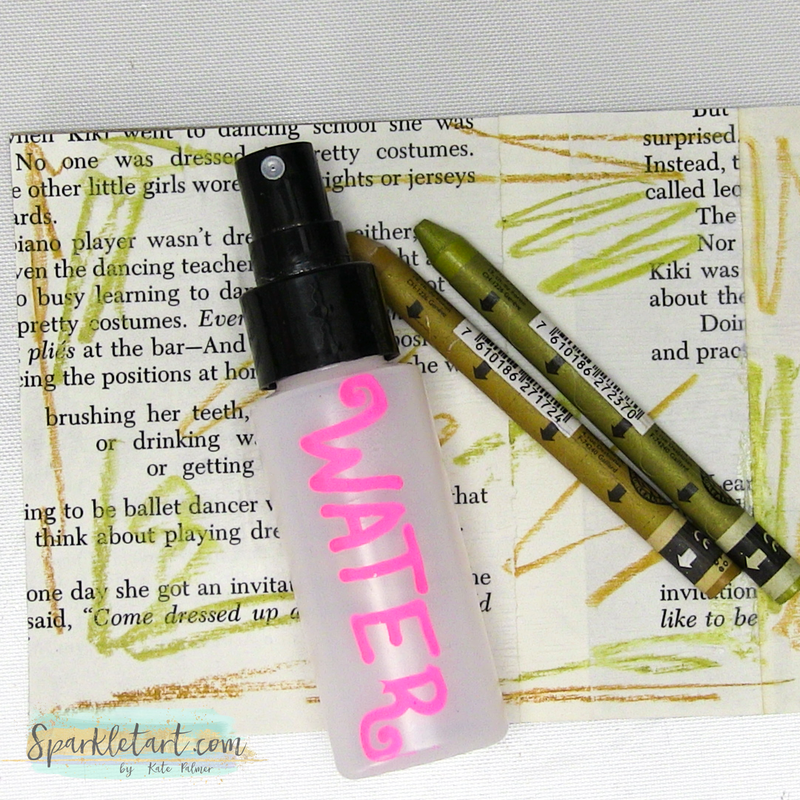 You can grab the yummy goodies I’ve used from Lulu Art of course! 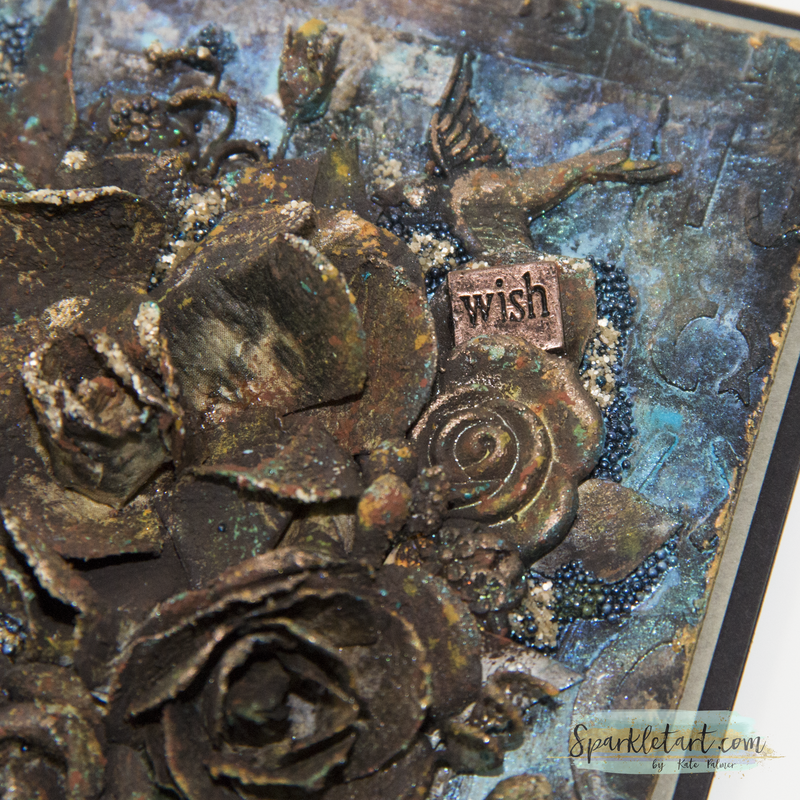 The steps are fairly simple, so let me show you how to create this pretty card. 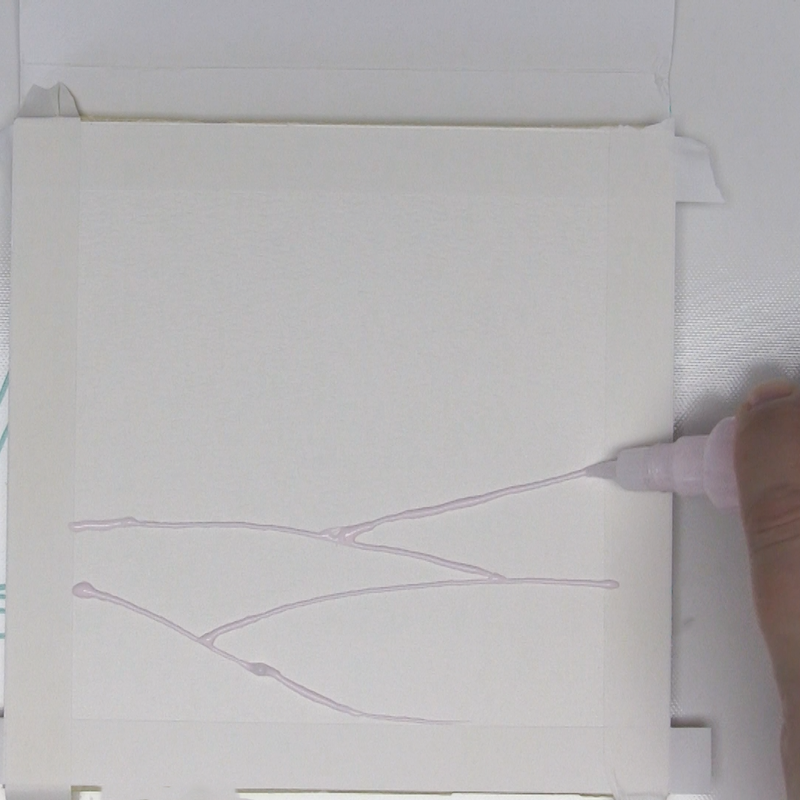 Tape off the edges of your watercolour paper and then use masking ink to draw on some snowdrift shapes. 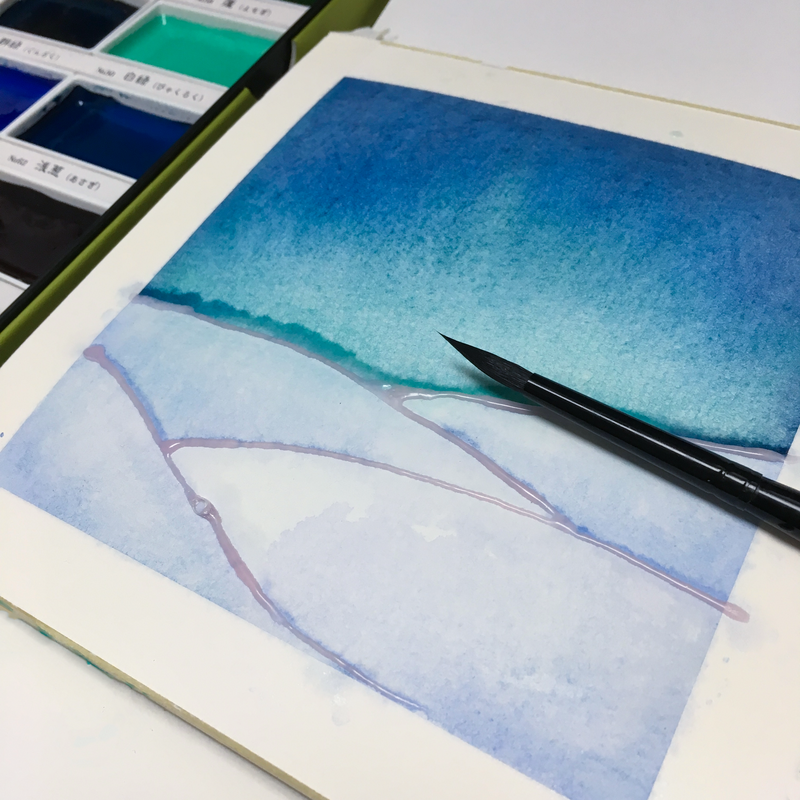 Use watercolours and create a wash for the snow drifts and a darker wash for the sky. 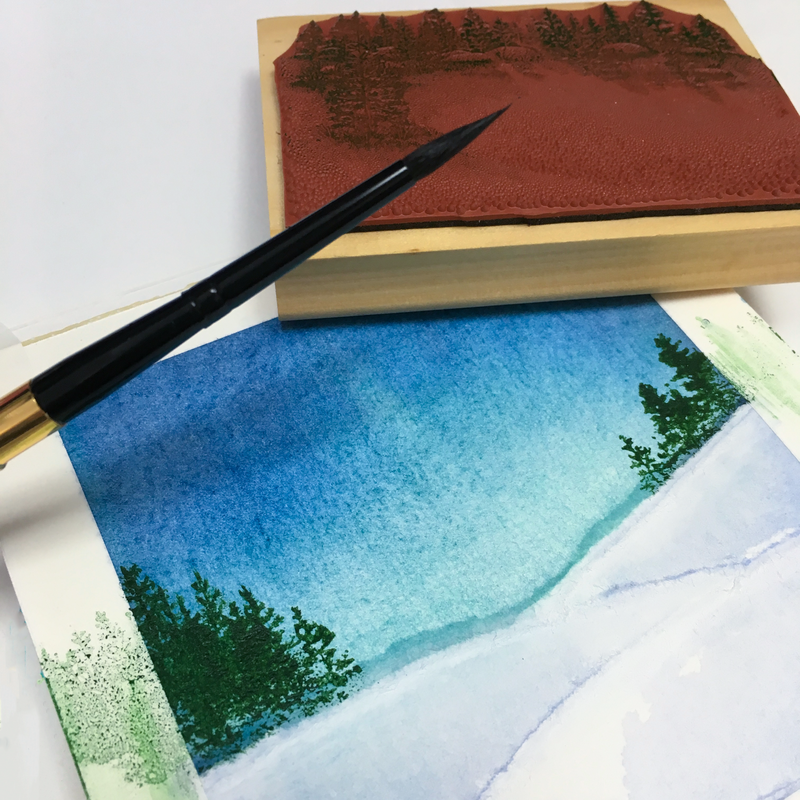 Once the background is dry, remove the masking ink and stamp some trees using watercolour paint as the ink for the stamps – let this dry thoroughly. 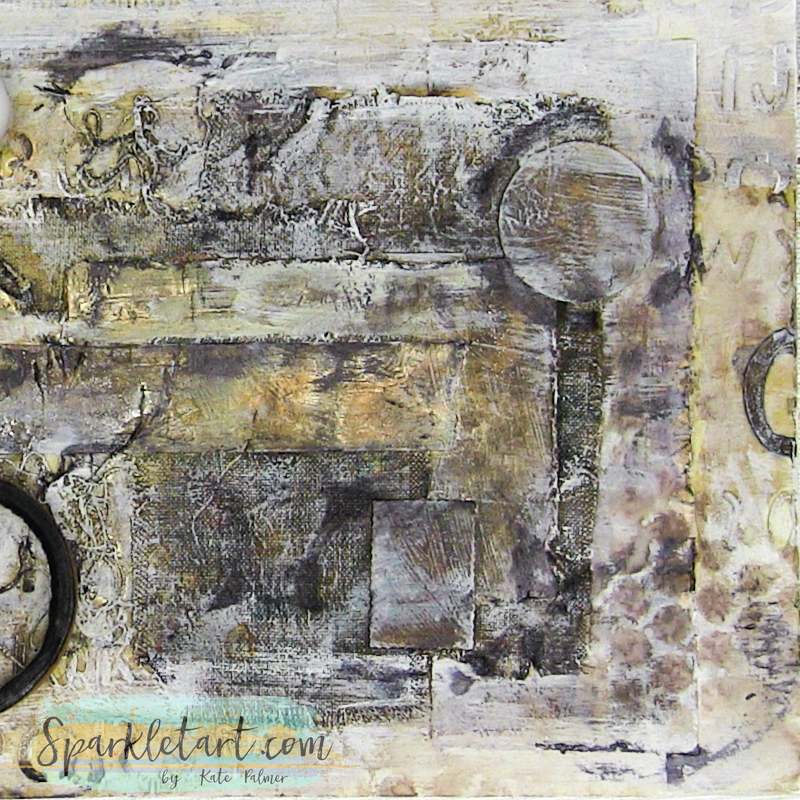 Add opaque molding paste through a stencil and leave to dry. Use a Sharpie pen to splatter white paint over the sky for stars and then add a second layer of splatters using the Pearl color from the Gansai Tambi pearl paints. Paint adhesive size over the molding paste and wait for it to become tacky, then add silver foil over the size. Brush off any excess foil and trim and scruff up those edges with a distressing tool, before mounting onto some backing card. Your finished card is elegant and ready to send. I’ve also recorded every step so you can watch and create your very own Watercolour Christmas Card. I’m back with another Mixed Media project for Lulu Art! 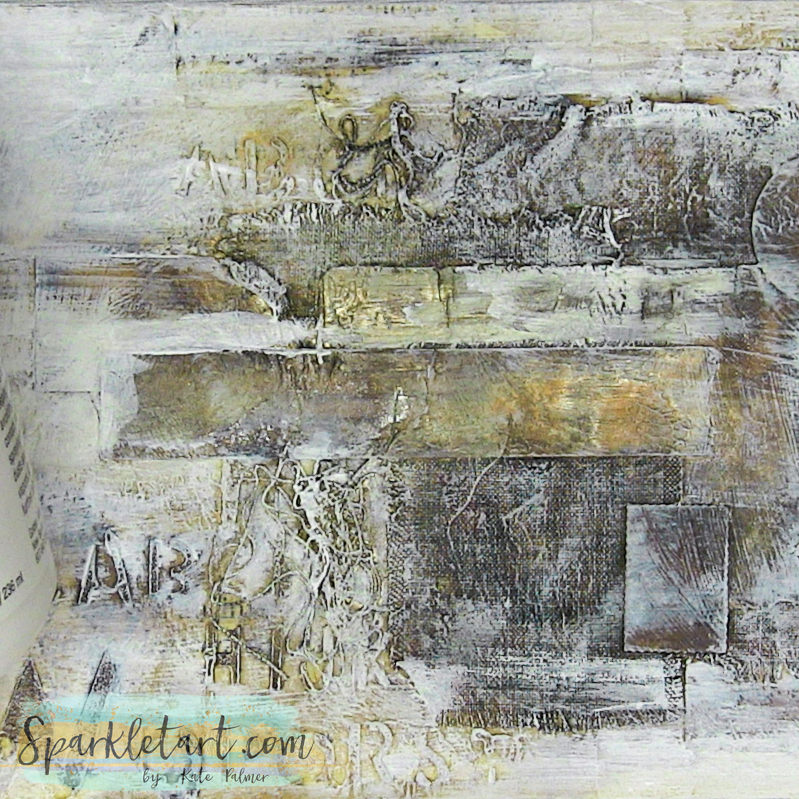 Today we are going to create a mixed media card from vintage papers, scraps and the fabulous pastes and paints from Prima and Finnabair – go grab what you need to create this from the Lulu Art Store! There are a few steps involved in creating this card – but each step is so simple you will easily be able to follow along and create your own version, plus it helps that there is a start to finish video at the bottom of each section. Why so many steps, because each element helps build texture and layers of colour that you could just not achieve any other way (believe me I’ve tried!)! 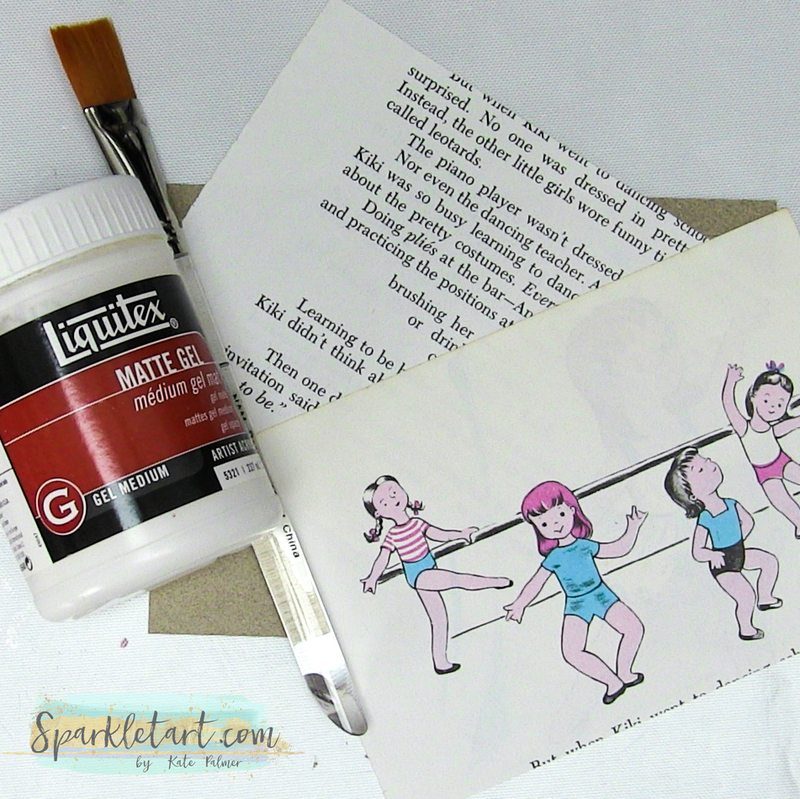 Glue vintage papers onto a piece of thick base card using Matte Gel and allow to dry. Scribble Neocolor in Gold and Ochre over the paper, spritz with water and spread with a paintbrush – this will add a more vintage look to the papers and give a consistent colour. 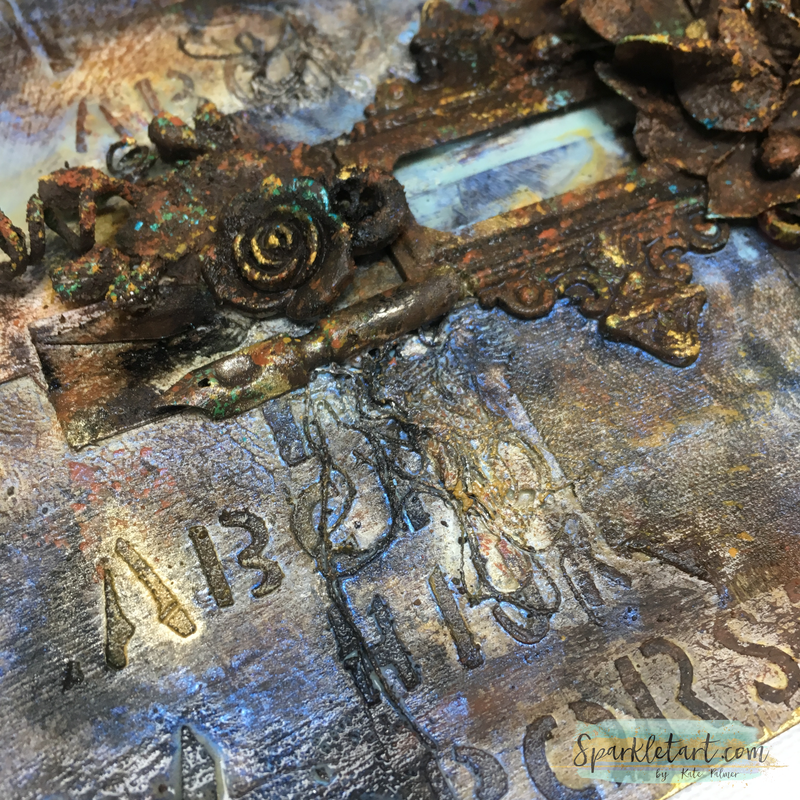 Add layers of paper, ephemera and material using Matt Gel and then add even more texture using stencils and Light Molding Paste. Once this base layer is dry add Liquitex ink in Transparent Raw Umber to darken the background and collaged elements, spritz with water to vary the strength of the color. I left it dark on the material and lighter on the background. 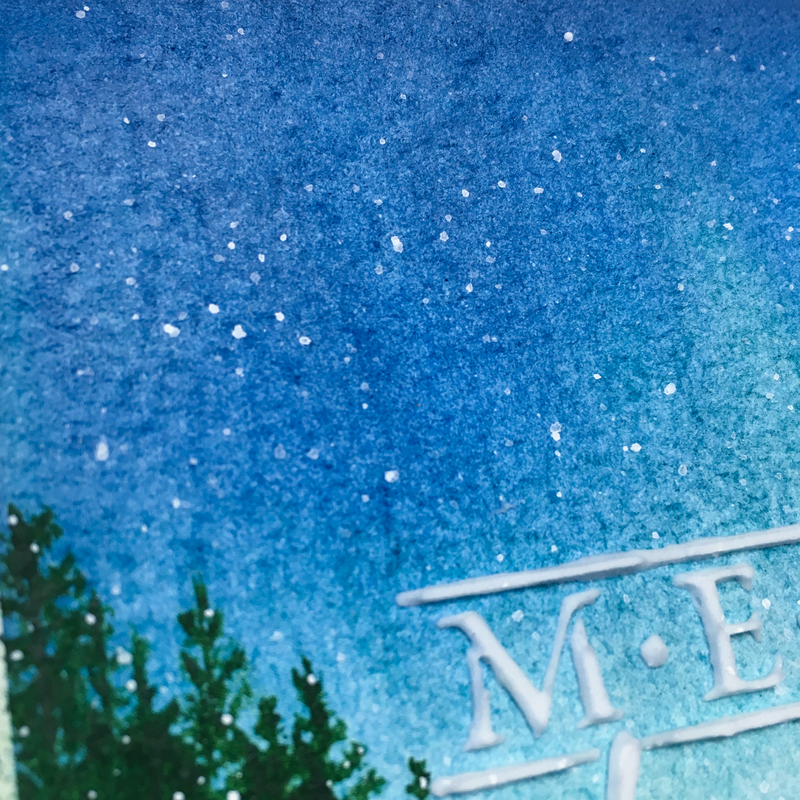 Using the dry brush technique, add a light layer of gesso over the background – you could stop right here it’s so pretty! 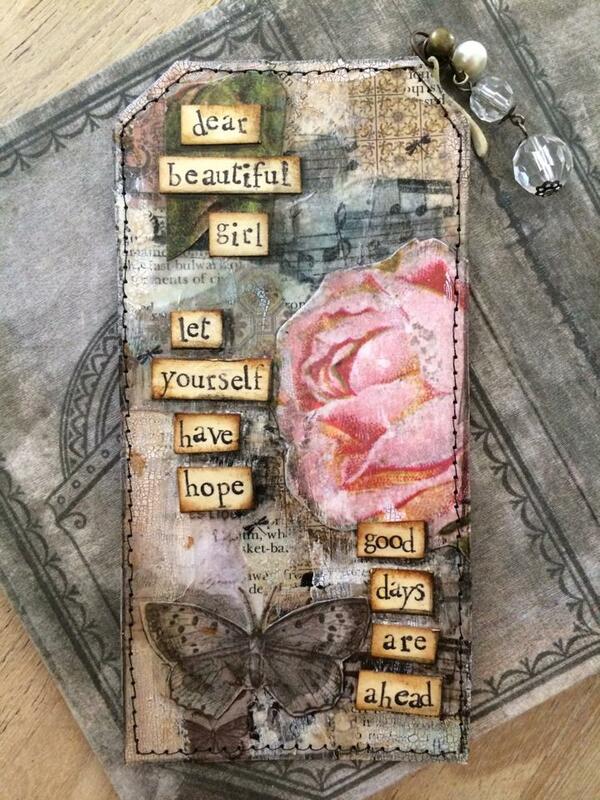 Add some stamping and stenciled images for a little variation, using Distress Oxide and Archival ink pads. 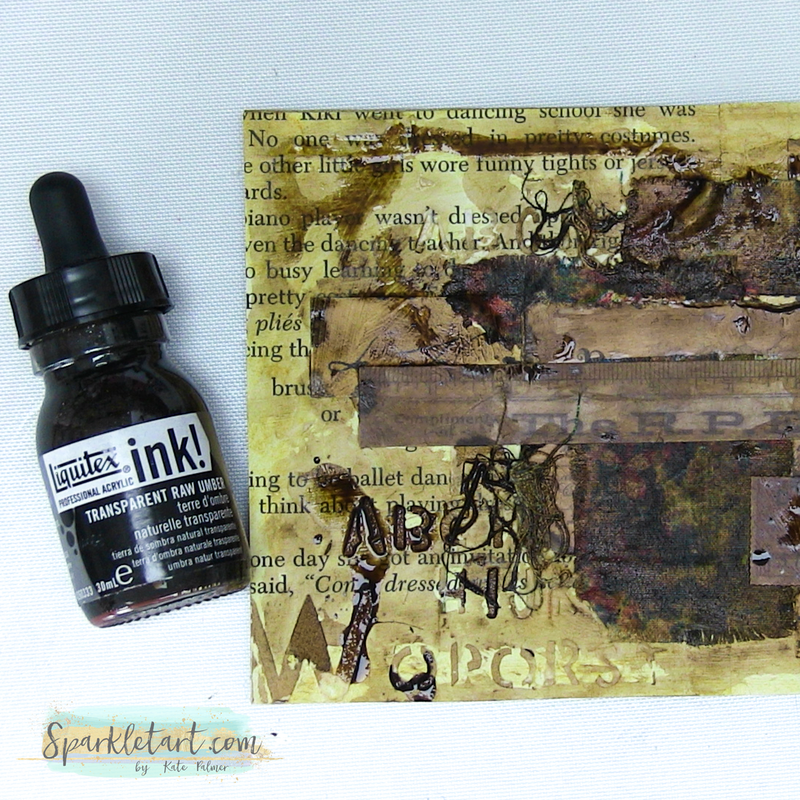 You can see exactly how the textured mixed media background was created in this process video. 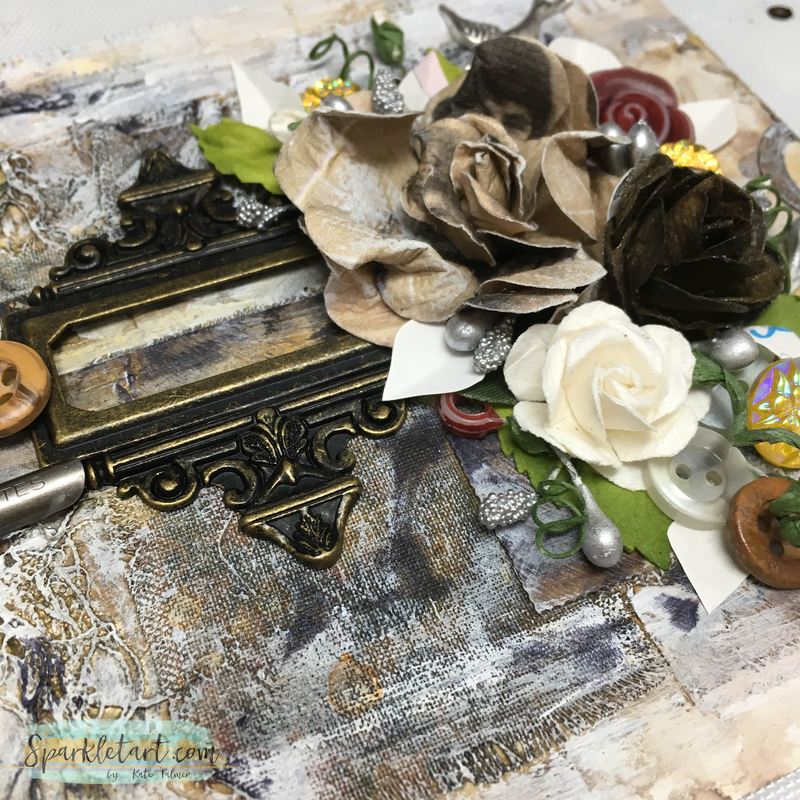 The create the embellishment collage, add a layer of 3D elements (make sure these are chunky, eg: flowers, buttons, leaves, papers, vintage or ornate metal embellishments). You can purchase pre-made embellishments or create your own, I’ve used a combination of purchased and hand-made elements. Arrange in a pleasing layout and then glue onto your background. 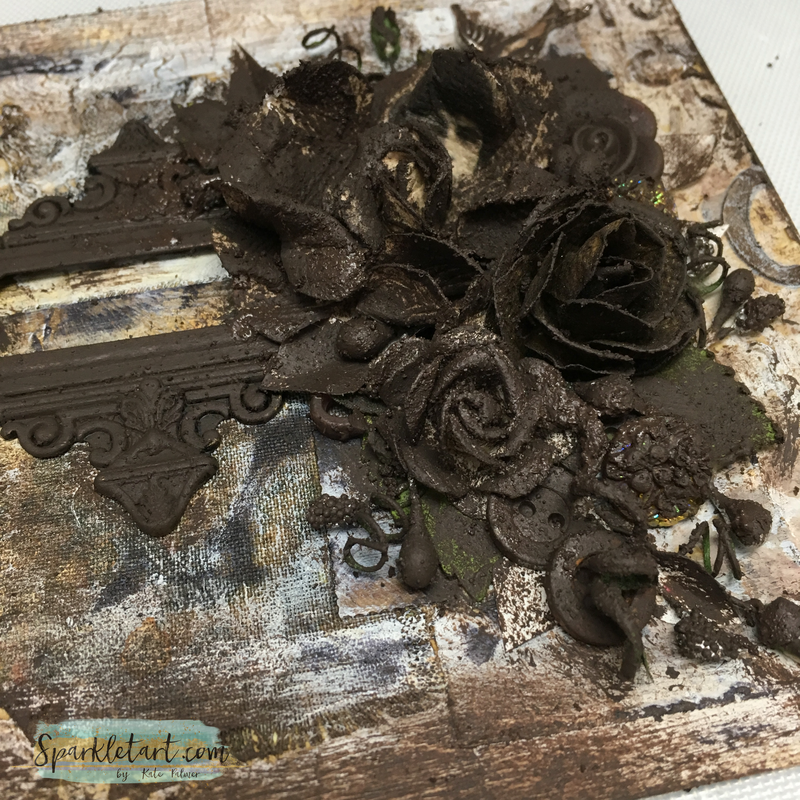 Carefully cover all of the embellishments in Rust Paste – Dark Brown, make sure to coat the top and bottom of flower petals, also brush a little of the paint over the background. 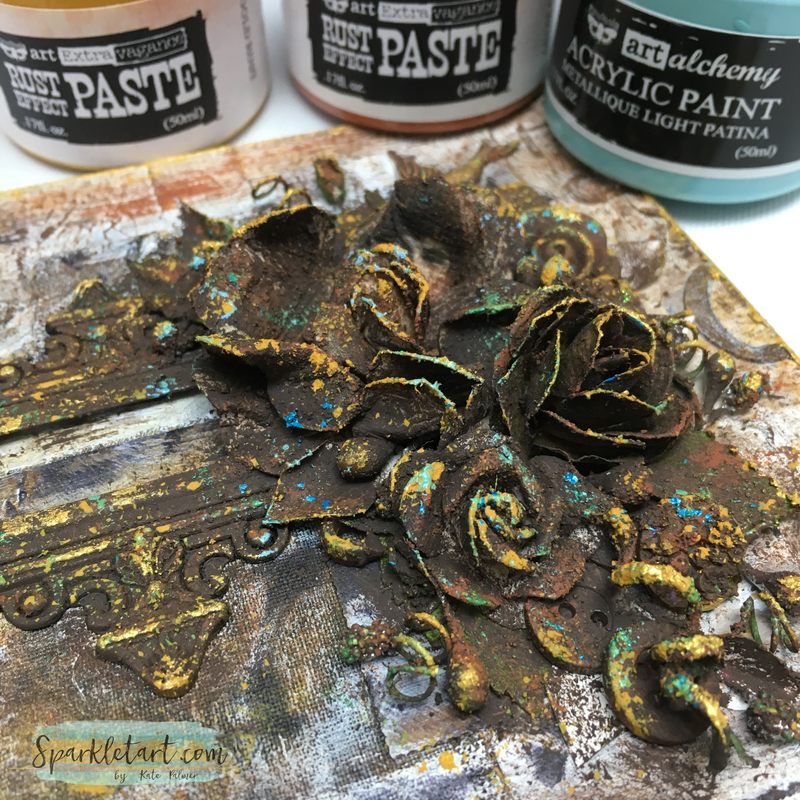 Then using a fine brush or sponge (or both) add the yellow and orange Rust Paste and Light Patina and Turquoise Metallique Art Alchemy paints. To finish the card panel add Light Patina and Turquoise Metallique paints to the background and spritz with water to make the colours run. This visually separates the background and the embellishment layers, plus it looks so pretty!!! 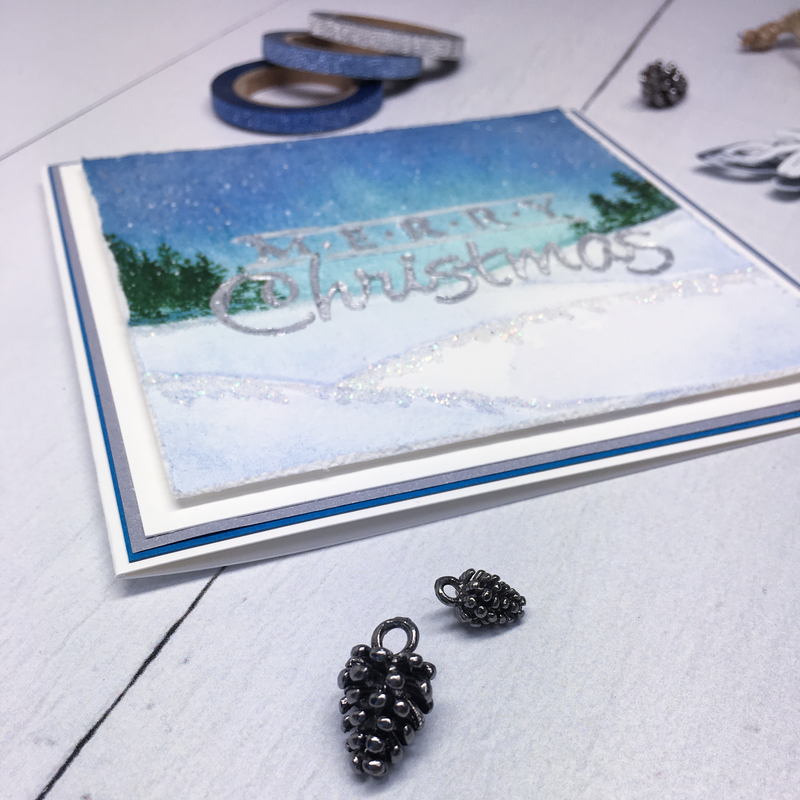 Add some mini beads and text embellishments, mount the panel onto neutral coloured cardstock to finish, then sit back and admire the pretty colors – and they really are VERY pretty colours! 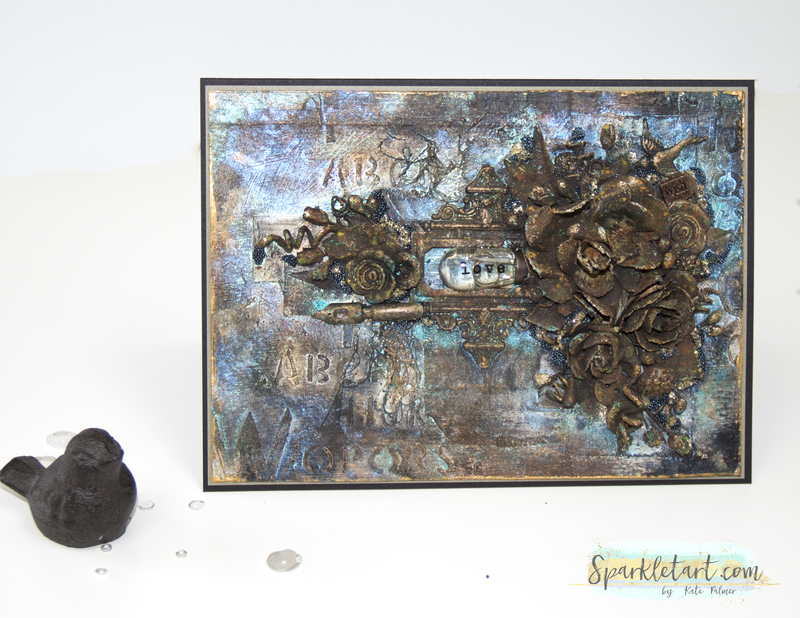 You can see exactly how each layer and colour was added to create the Rust Effects on the embellishments in this video. and here are a couple of close-ups so you can see how absolutely yummy this looks.